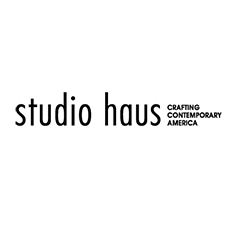 Los Angeles, CA, March 19, 2019 --(PR.com)-- Studio Haus is proud to announce their 2019 kitchen cabinet options. This amalgamation of products and hardware enables their clients to create beautiful, durable, and functional kitchen cabinets. Studio Haus is shaping contemporary kitchen design trends in America. They take inspiration from well established European trends and combine it with their own innovative ideas, while assuring that every aspect of the cabinet is crafted with the highest quality and most eco-friendly "green" elements available. They employ “dado” construction to fit different elements of the cabinets together, similar to a puzzle. A dado is a slot cut into the surface of a piece of wood. When viewed in cross-section, a dado has three sides. These cuts are then used like puzzle pieces so that the cabinet box binds together as firmly as possible. After the pieces are fitted together they are glued and screwed together. The combined forces of the dados, the glue, and the screws make the box extremely durable. Furthermore, they use 3/4" material all around, including the back. All components of the box are sealed with a polyurethane edge band which further enhances the box's durability. Studio Haus advises the box material to be in the Storm Gray Melamine for modern kitchens, often also practiced by their European counter parties. This is to compliment the Blum Orion Gray Finish in the Legrabox line. Upon request, they can make the boxes from plywood too, usually more common in a classic or traditional aesthetic of a kitchen. An option to match the case edgeband is available in both same Storm Gray or to match the finish of the kitchen. In the event of a floating cabinet, such as for a bathroom vanity, they have special channel hardware that is rated to support over 500 lbs per box. For this option they employ frameless European wood dowel construction. A dowel is a cylindrical wood pin that fits into holes of abutting portions of wood, being partly in one piece and partly in the other to keep them in their proper position. The box is built with moisture resistant particle board. It has a soft linen light gray finish inside and out and is given an anti-bacterial treatment. All visible edges are filled with a matching 1mm ABS. It has a metal full extension double box drawer with an optional upgrade to a slim profile antracita drawer, premium salice, soft closing door hinges, and PVC adjustable leg levels with toe kick clips. “Zero edge” is the new buzzword in edgebanding. Not only is zero edge aesthetically pleasing, but it makes for more durable edges. Furthermore, the seems that happen as a result of inferior edge banding are known to be breeding grounds for bacteria. Cabinets with a seamless edge, such as theirs, are a wonderful solution for for high end homes, restaurants, hospitals, and germaphobes. They are able to achieve this with a combination of PUR and laser technology. Polyurethane is an extremely durable paint designed so that microscopic chains of resin molecules will bond to each other as they dry. The result is a thin layer of plastic so tough that hardly anything can penetrate it. Once cabinets are coated with it they become resistant to water, solvents, abrasions, and impacts. This will significantly reduce the wear and tear of kitchen cabinets, help keep them looking new, and extend their life. When making an investment as large a quality cabinets, it’s wise to do everything possible to protect that investment. So it is highly recommended to use polyurethane paint. They currently offer approximately 75% of Benjamin Moore colors in High Gloss and Super Matte. Aventos is a lift system that they employ for many reasons, some of which are that it saves space, it’s incredibly convenient, and the aesthetics are beautiful. With this system you no longer need cabinet handles, and your cabinet doors will no longer swing outward. You simply touch your cabinet door and it lifts up and opens. You will never have to worry about hitting your head on a cabinet again. And you can have multiple cabinets open simultaneously when putting away dishes or cooking a large meal. Blum’s Legrabox is acclaimed as the industry’s top drawer system. Available in both Orion Gray and Stainless steel, this minimal metal profile offers elegance with reliable smooth functionality. For projects omitting handles, Legrabox comes with Tip On (touch latch) and a more powerful spring to open with Servo-Drive (electric). Interior designers, architects, or general contractors may contact Studio Haus to get premium custom kitchen cabinets.